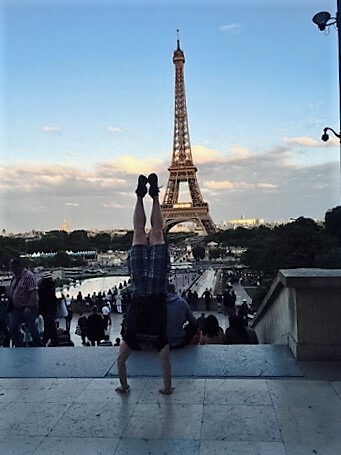 Coach Mark Peterson trying to mimic the Eiffel Tower. Representing worldwide! CAN!